Seventeen-year-old Charlie Kennedy has always been second-best compared to her older sister, Olivia. Now that Olivia is getting married to fancy-pants heir Scott Dixon in a million-dollar Los Angeles wedding, Charlie's even more invisible to her mother. But just when Charlie thinks life can't get any worse, she meets the best man's idiot of a younger brother. Trevor Hart is the unluckiest guy on the planet. So, with Trevor's luck, what starts out as an innocent errand turns into an accidental vacation to Mexico. To make it back to Los Angeles in time for the wedding, Charlie and Trevor must survive rough terrain, strange locals, and worst of all, each other. 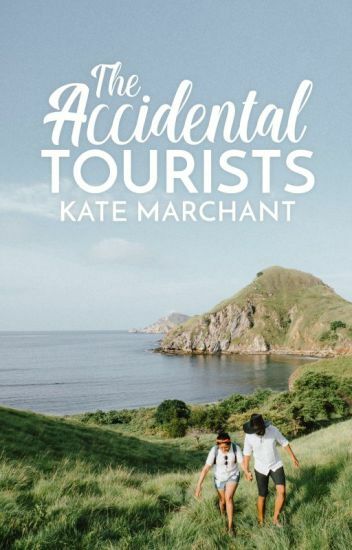 But along the way, these accidental tourists might just stumble upon love. Camille Settlemeyer's life revolves around two great natural wonders: Mount Everest, the highest point on Earth, and Matt Everest, the boy she's been in love with ever since they met at rock climbing camp five years ago. She might have to wait a few more years before her parents let her fly off to Nepal to scale the world's tallest summit, but this summer Camille's going to hit the road with Matt for one last climbing expedition before they part ways for college. Camille is convinced that a couple days alone with Matt in a beat-up van will make him realize they're destined to be together. What she doesn't account for is Matt bringing along his best friend from climbing camp, Tucker O'Hara, who possess an encyclopedic knowledge of the constellations and a sense of humor drier than the sprawling Arizona desert. Camille doesn't like how much of a know-it-all Tuck is, or how his gorgeous older sister seems to steal every last bit of Matt's attention. But Camille's about to learn that even the best climbers need a compass sometimes. College freshman Jonah Holliday is gone, and he left his friends behind. Everyone has baggage, but it's certainly not Selina's job to carry it for them. Orion Bradley has socialite status in her Northern Virginia town. She's the girl everyone envies, from her insta-worthy fashion sense, to her vibrant sorority social life. Her twin brother is the super cool frat guy everyone wants to date, and her parents are world famous co-authors, known for their swoon-worthy romance stories. On the outside, her life is seeping with perfection. Oliver Armstrong is the biggest softie there is. Most of his time is spent at the local coffee shop, reading books and doing journalism homework. He's the guy that falls in love with strangers from afar, but never has the courage to make a move. Until one day, when the girl with dark hair and peach-colored laptop stickers invites herself into his world as a way of escaping her own. He's not sure what she's so keen on keeping hidden away. But he'll find out eventually. Nothing too fancy, no changing fates or intertwining destinies. No ends-of-times, no talks of forever. Just an egg hunt. In which she finds the solution to the n-dimensional equation of her heart. Valerie Harper and Collin Donovan were once inseparable, but when Collin screws up by getting with the girl of his dreams, all ties are cut loose. Valerie doesn't think she'll ever see Collin again or forgive him after two years of silence, but then she finds out that he attends the same college as her. Slowly, the closeness they once had starts to blossom again, and this time, Valerie finds herself falling in love. But love for her becomes treacherous when there are so many altercations, like the fact that Collin is still dating his girlfriend and the possibility he won't feel the same way. Nineteen-year-old Rebecca Lawson is stuck in Point Lautner, a small logging town in northern Canada. She was born here, and she'll die here. Rebecca's on the edge of giving up her dreams of leaving when she rescues a strange, beautiful boy from a frozen lake. When Lucas Carson suddenly sits across Norah Havington, the last thing she expects was her life to flip into a series of adventures and mayhem with her heart on the line. 1. Hailey Brookes trades in her original summer plans to, instead, swap places with a family friend's young son and live at their suburban estate. Having just been dumped by her boyfriend Ben, her goal for the summer is to steer clear of guys - after all, she's in no rush to find a substitute relationship. 2. Matt Dewchester lives, much to Hailey's dismay, one hallway down from her in her new home for the summer. A charming and funny soccer captain, he seems determined to change her mind - and indeed, both find that there is much to give and much to lose in their blossoming relationship.